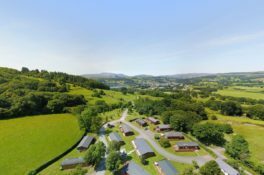 Bala Holiday Parks is a family owned business, run by Gareth and Sioned Williams. Gareth and Sioned have been married for over 20 years and have 3 children – Aron, Rhys and Nel who are already getting involved in the family business! You will often see them around the parks over school holidays, meeting and greeting at reception or on the lawn mower keeping the parks pristine! 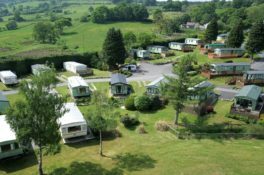 Gareth’s Father started the business in Bala Caravan Park over 50 years ago with the dream of creating luxury parks on the foot of Bala Lake. 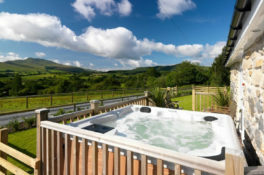 The ethos of the park has always been family first, Gareth and Sioned are firm believers in hiring local and working with local businesses so everyone you meet on the parks is more than likely from the Bala area. We have always used the same plumber, electrician and civil engineers since opening the parks and the Family have known all of them personally for over 25 years! We have a tight-knit team, who take great pride in offering a personal 5-star service to all Owners on the parks. Gareth is very passionate about conservation and the parks have won the David Bellamy Award for conservation for 19 years running as well as being able to meet the high standards of Visit Wales resulting in winning the best park in Wales at Pen Y Garth a year ago. 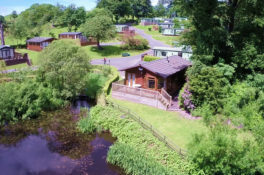 Unlike big parks across the country – Bala Holiday Parks offers peace of mind to Owners as these parks will always be in the safe hands of family, passed down from generation to generation.